Open top tanks are selected for collection systems, temporary liquid storage, or as secondary containment for vertical tanks in indoor or outdoor installations. Tanks are manufactured from medium or high-density polyethylene with U.V. inhibitors and designed for containment of liquids. Tank walls are translucent for level viewing and equipped with gallon indicators. Heavy duty polyethylene plastic tanks molded in one piece, especially designed for containing acids, caustics, and a variety of chemicals. 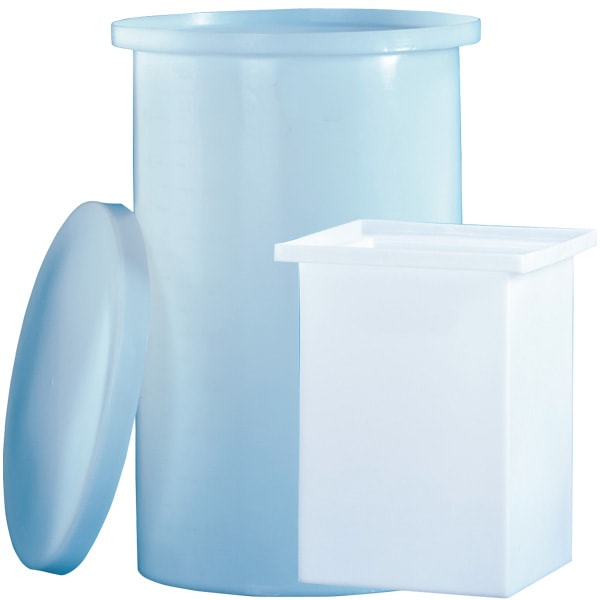 These polyethylene or poly plastic tanks feature uniform wall thickness, straight and uniform flanges plus heavy duty tight fitting covers, making them one of the best quality PE open top plastic tank lines in the polyethylene plastic tank industry. Available in Linear HDPE – both natural and black, PP and XLPE. Contact our sales staff with questions or to request pricing.